These beautiful scripted custom Wedding Printed Lollipop Favours make the perfect favour for your wedding guests. Add sparkle for that extra special touch. 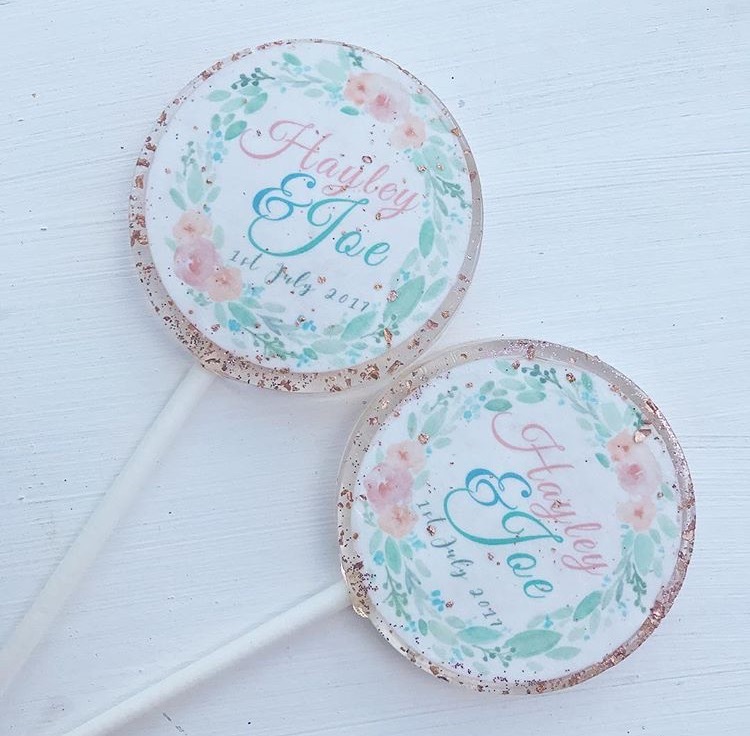 The Wedding Printed Lollipop Favours come wrapped in individual clear cellophane bags. Small, blank, stamped or custom card tags are available to purchase. 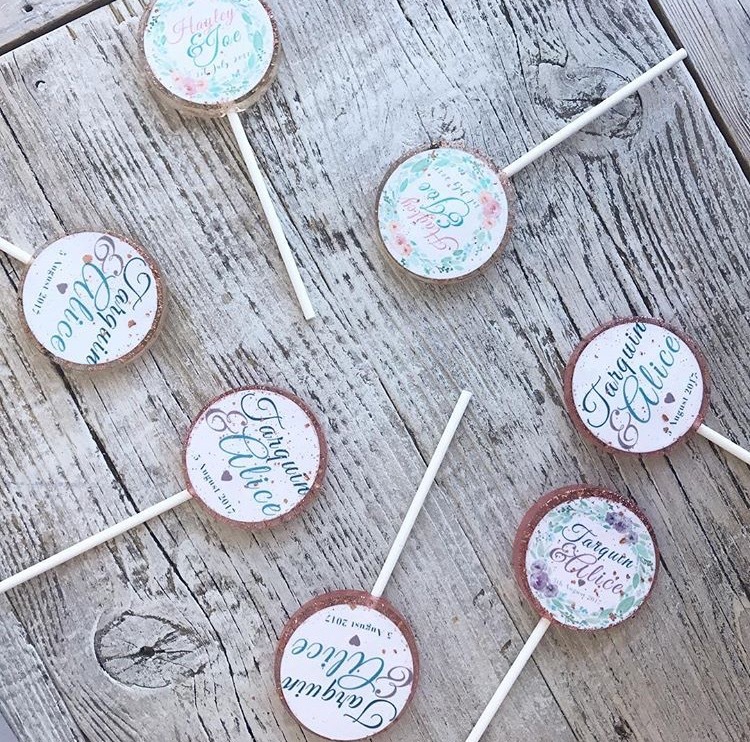 SMALL (12 lollipops): 1.5 inch round lollipops. 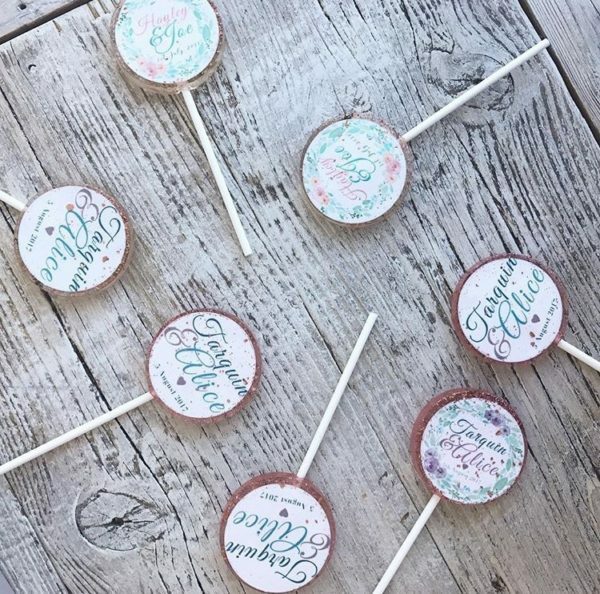 LARGE (10 lollipops): 2 inch round lollipops.